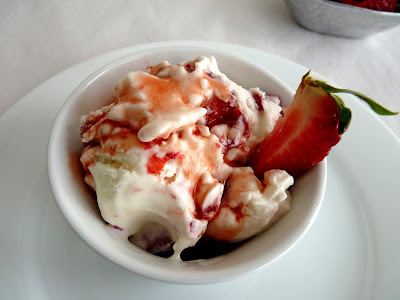 My all-time favorite dessert is fabulous vanilla ice cream layered with macerated strawberries, and when they are bought from the farmstand down the road a piece, it is a step above perfect. Our upstate New York local strawberries have not pushed their little bright heads from the earth yet, but as soon as they appear, I shall make this ice cream. Just in time for July Fourth. Hi Victoria! Strawberries fresh from the farm can't be beat. This ice cream is not quite vanilla but it's very good. I love the bit of tart edge it has. I hope you enjoy it. I want a whole bowlful of that! Stunning coloured ice-cream. There are so many recipes I want to try!! wow, this looks delicious. 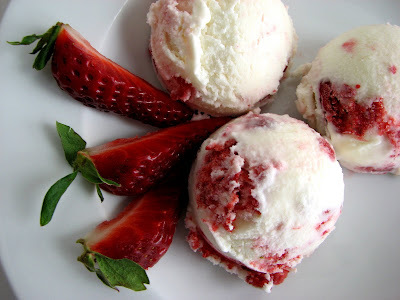 Next strawberry seasons I'm definitely going to get into gear and making this! I live in the Salinas Valley of California-- home of Driscoll berries. In fact, I drive by their fields every day! I love making ice cream, and this version grabbed my attention. LOVE the sour cream and buttermilk version a lot. My first buy of Driscolls were a little tart, but I'll bet in a few more weeks, the berries will be perfect. You can bet I'm making this. Thank you! Summer is here when I see strawberry ice cream! And such gorgeous strawberries too. I've never used sour cream in an ice cream, will be anxious to try it. Your photos always make me want to run for the kitchen to make your posting! Oh my goodness,this looks incredibly sinfully delicious ! 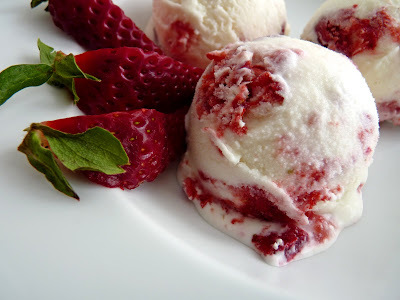 I always look forward to your blog and photos..beautiful..can't wait for the Seattle Strawberries to ripen . Yum! I love ice cream. This dessert looks mouth-watering thank you so much. 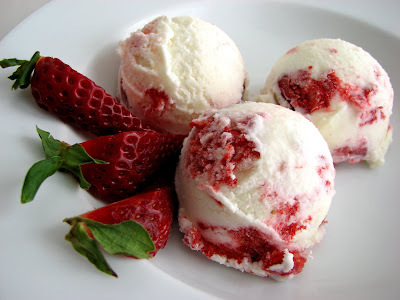 ah...strawberry and ice cream..makes me drooling the whole time.i love this! This just makes your day a lot brighter! The strawberry just looks delicious.